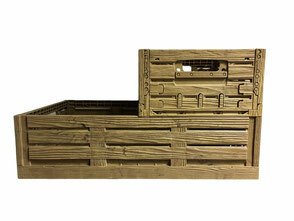 Folding Box in wooden style - surplus-neus Webseite! 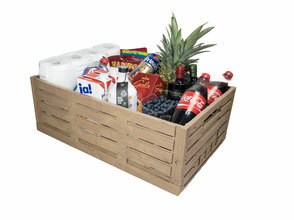 The new folding box in a refined wooden decor style serves as a practical merchandise presenter in the retail sector or gift basket as well as a decorative item at home. 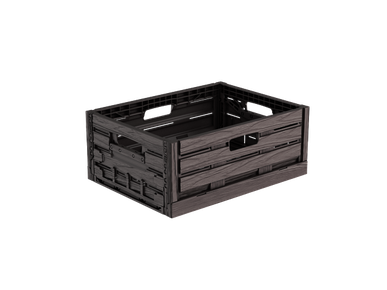 With its two sizes 40x30x16 cm and 60x40x19 cm it is well suitable for transport and storage. 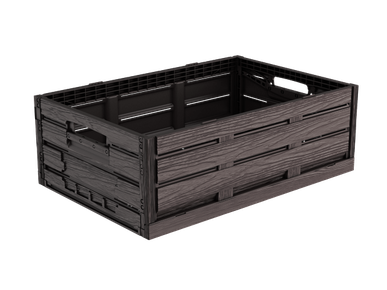 Of course, it is also stackable and can be combined with other Euronorm products. The folding box in wooden style is very user-friendly, easily and hy­gienically to clean and particularly resistant to different environmental influences.